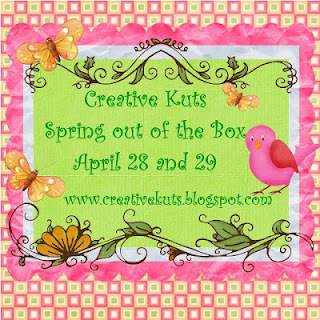 Welcome to the Creative Kuts & Creative Kuts2 Spring Out of the Box Blog Hop. If you just came from Fabiola PD then you are in the right spot. We're so excited to be doing this hop and we have a fabulous lineup with some very talented ladies. 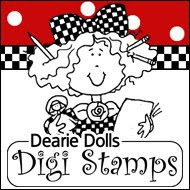 There will be lots of fun projects, along with some great blog candy, and a great grand prize for this hop. 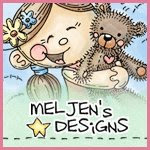 Check out each blog and see what blog candy you can win at the individual stops. 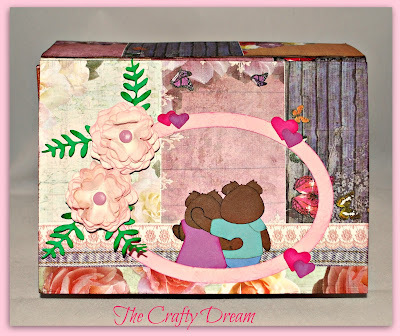 The grand prize for this hop will be the Beautiful Box Album file from CK2 plus your choice of 1 single file from CK to embellish it with. 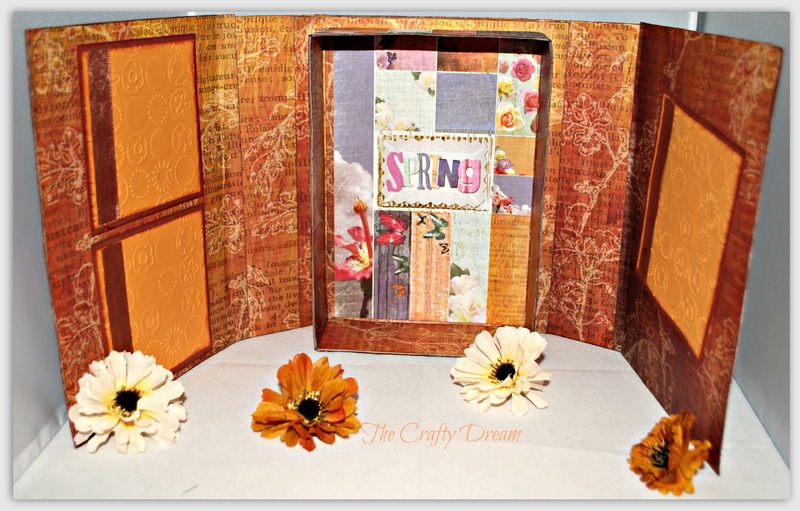 Plus your chance at Winning the Sizzix 17-Piece Texture Boutique Value Kit when we reach 300 Followers. 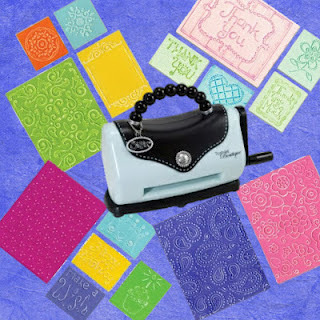 Click here for many other chances to win on the sizzix drawing. https://www.facebook.com/#!/pages/Creative-Kuts/130937843644274 and leave a comment there that you are hopping by from this hop. 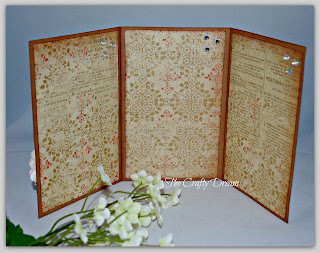 For my book i used chipboard and the paper from Paper Studios, the file i used it's call My Mama, you can find it HERE, to embellish my book i used a beautiful Cabbage Rose that you also can find it HERE, i hope you guys like it! The inside of my book i used the paper from Paper Studios as well, i embellish my book inside with some emboss mats and ribbon to match the color of my book! The box i really like it says Spring inside, i really love this paper, you can get it at Michael's! I also made an accordion mini album, this is the outside if my mini album, i used the same paper i used for the outside of my book, i used the Cabbage Rose file as well! The inside og my mini album i used the paper from K&Company wich i got at Michael's as well, i love this paper so much! I hope you liked my project for the hop! Thank you so much for hopping with us this weekend. Don't miss out on the big sale advertised on both CK & CK2 at the beginning and end of our hop!!! 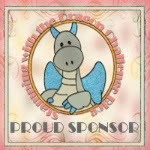 Next, Please hop on over to the wonderful Janet Royer! Gaby you do such wonderful work! Beautiful albums and boxes- so many wonderful places for pictures! Divinos!! Me encantaron la caja y el álbum!!!! Los ositos siempre sueño con tomarme una foto asi. MUCHA SUERTE...ESTA HERMOSA....ME SUPER ENCANTAAAA!!!!!! Great job, Gabi!! Very pretty!! 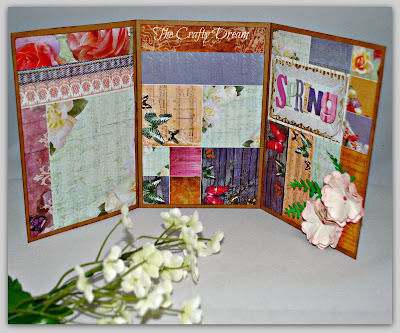 Great design aaaaalove the paper you used and the roses are beautiful. Not only love the papers, but your project is awesome too, good job!!!!! 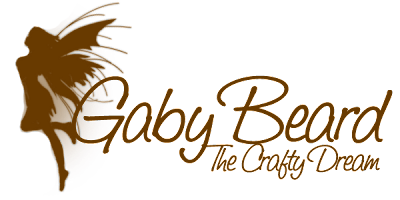 great job Gaby!!! i love the roses and bears!! Nicely done. The insides are exquisite! Love this and the bears especially! 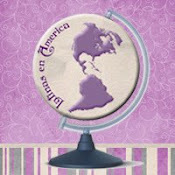 gaby me encnta voy hacer el recorrido ya mismo !! wooowwww... está superdiviiisss!!! ambos te quedaron fenomenales!! !